Moore Place’s care home facilities are purpose built to meet the expectations and needs of the next generation of older people. Our dedicated service, combined with Moore Place’s luxurious environment, allows residents to live a rich and meaningful life in the company of supportive, like-minded people. At Moore Place, we offer a friendly, warm, safe and environment, with first class facilities to make you feel at home in our care. Decorated with elegant interior design and built to a modern specification. Moore Place is a luxurious contemporary care home meticulously finished to an exceptional standard. 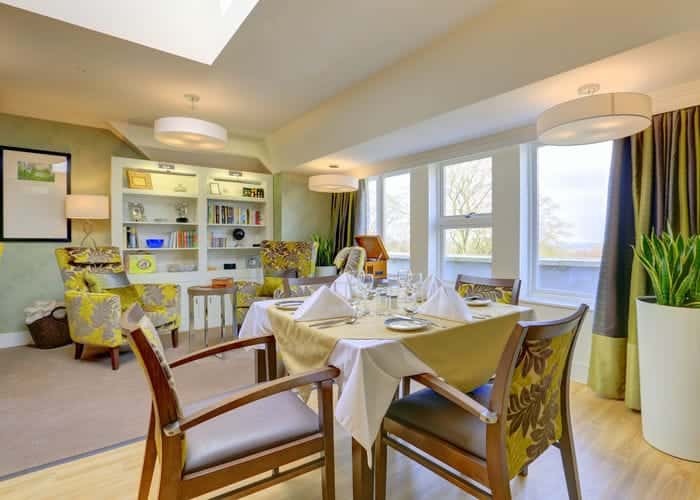 Moore Place care home overlooks the Moore Place Golf Course, situated on the scenic Surrey greenbelt, and offers a remarkable landscaped garden and delightful, uplifting views. 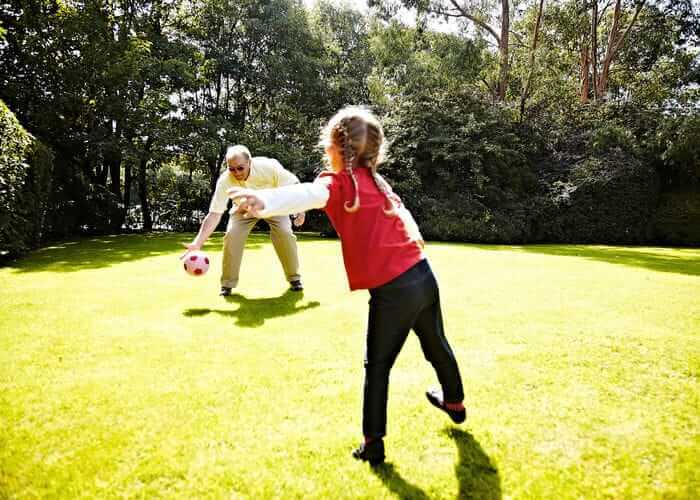 At Moore Place, we support our residents to be active members of the local community of Esher and Surrey. We ensure they are able to maintain close bonds with people in the local area formed before coming to live with us, as well as provide opportunities to meet new groups and continue expanding new friendship circles. 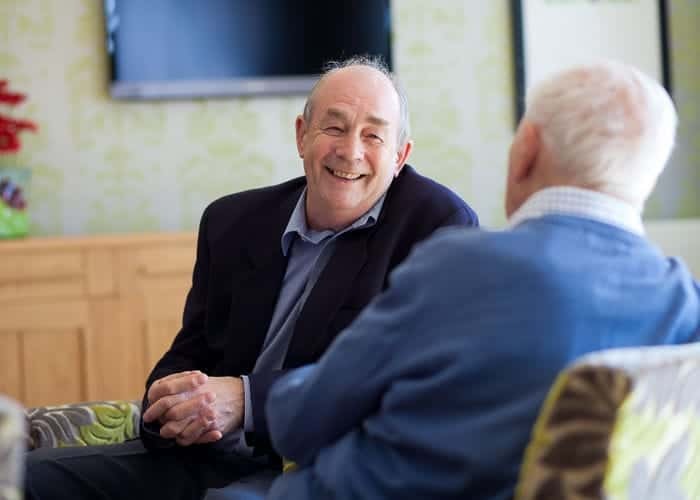 Our care home overlooks the Moore Place Golf Course, situated in the stunning surroundings of the Surrey greenbelt, and offers a beautiful landscaped garden with wonderful, uplifting views. 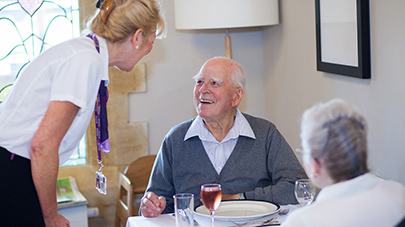 All our staff are committed to making mealtimes a sociable and pleasurable part of each day, and with ambient dining areas on every floor you don’t need to go far at all to enjoy mealtimes at Moore Place. You'll always find plenty to do at Moore Place. 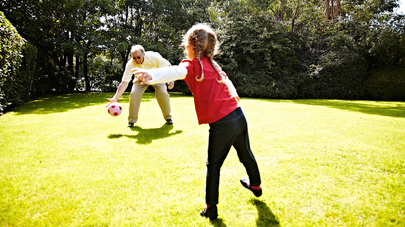 We focus on providing the older people that choose to live with us with an active lifestyle from the outset. At Moore Place care home we provide high quality care and support for residents living with dementia care by treating them as individuals.